It's Hip 2 Serve! : Submit Your Photo to be Included in a Queensrÿche Video! Submit Your Photo to be Included in a Queensrÿche Video! 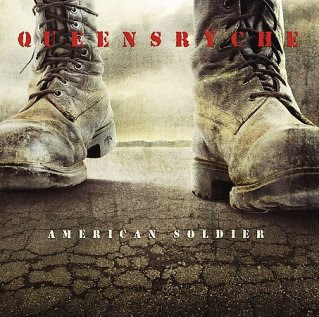 Queensrÿche’s touching ballad “Home Again” from their latest album American Soldier has really struck a chord with the military community and now the band wants your help making a video. Queensrÿche is asking members of the military to submit pictures of themselves with their families to be featured in the upcoming music video for the song "Home Again." When you submit your photo, you will also be entered to win an ESP LTD Michael Wilton Signature Series Guitar autographed by Queensrÿche! To enter, submit your photo as an email attachment to queensrychevideocontest@gmail.com. Be sure to place your full name in the email subject line. In your email, please include first name, last name, street address (no P.O. Box numbers accepted), city, state, zip code, email address, and telephone number. Photos can be uploaded photos from now through 8/02/09. Click here to read more about the inspiration behind the song and for more information. FREE Sample & Coupon for Honey Nut Cherrios! FREE Cereal at the Commissary! Old Navy-30% off for Military!! Commissary Deals: July 23rd-August 5th! Design a Truck for AAFES! 5 FREE Sample Items from "My Exclusive Spa!" Parents Magazine for $0.41 per issue!! Send a dozen roses for $15 shipped!! Apply to Host a Fun & Free House Party! FREE Measuring Tape for Pregnant Mommas! $25 Target and Starbucks Gift Cards!! FREE Slurpee from 7-Eleven Today! Commissary Deals: July 9th-July 22nd! Kindle reduced to $299 on Amazon! FREE Fiber One Samples and $5 in Coupons! Kenwood Tour de Force Sweepstakes! Free Lipton Tea for DirecTV subscribers!! In Need of a Dyson Vacuum?! FREE pint of Starbuck's Ice Cream! FREE KraftMaid Book...Limited Time Offer!